Victor Insulators, Inc. was founded in 1893 by Fred M. Locke. Fred Locke was one of the great early contributors to the successful establishment and growth of the electric power industry in North America. In 1893 he developed and patented a process for manufacturing wet process porcelain for use in insulators for power lines. His accomplishment was in no small way a key contribution to the eventual growth of the electric power industry. Prior to Fred’s accomplishments, insulators were at best unreliable for the demands of this growing industry. Although the company that Fred Locke established in Victor NY has changed names over the years, Victor Insulators, Inc. is the direct successor to the operation that he began over 100 years ago. For a “time line” of the wet process insulator manufacturing industry in the USA, click here. Today, Victor is a privately held (employee owned) company dedicated to the same ideals that have been successful since 1893. Our commitment to quality, service and competitive pricing continues to make us the preferred supplier of insulators. Located in Victor, NY (near Rochester) Victor’s plant today consists of over 320,000 square feet of manufacturing space. Victor manufactures the widest product line of any North American insulator manufacturer. 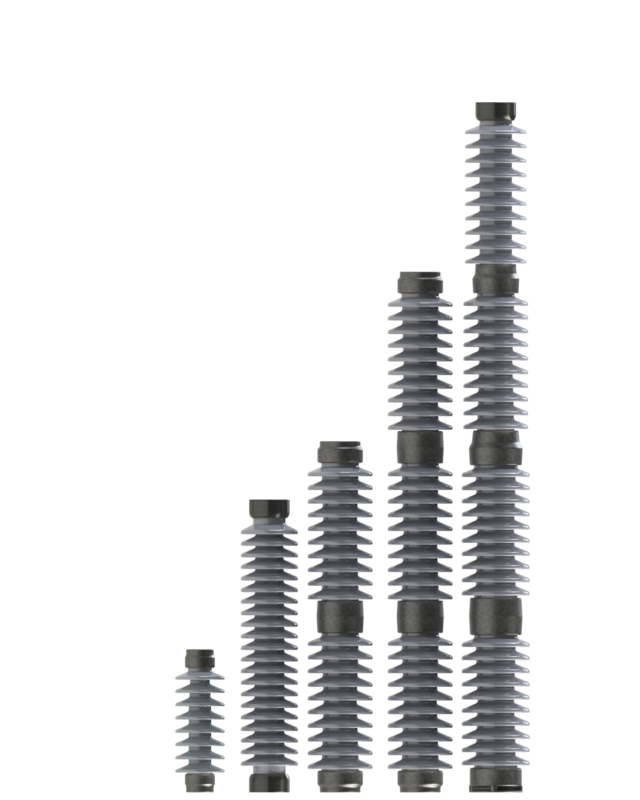 The manufacturing process produces insulators ranging in weight from a few ounces to hundreds of pounds and application voltages from hundreds of volts to hundreds of thousands of volts. Insulators are manufactured from standard strength silica porcelain, high strength alumina porcelain, EPDM rubber and silicone rubber. All porcelain products are manufactured using wet process porcelain to ensure reliable, trouble free operation for the life of the installation of the product. Insulators are available in two porcelain classes – standard strength silica porcelain for normal applications and high strength alumina porcelain for severe duty. Ceramic processing is controlled by a highly trained staff of professional engineers dedicated to ensuring that product quality remains our number one priority. Victor is continuously updating manufacturing methods and equipment and participates in research programs with major universities to ensure that we remain at the forefront of insulator technology. Polymeric insulators are manufactured from EPDM rubber for normal duty application and silicone rubber for contaminated environments. Polymeric products are injection molded using the latest in cold runner molding technology. In addition to general ANSI standard designs of distribution, transmission and substation insulators, Victor also manufactures special insulators such as fused cut out porcelains, arrester housings, bushings, etc. to specific customer designs. We can and do design insulators for specific non-standard applications to meet the varying needs of customers and our engineers are available to assist you in developing insulators for your particular application. Victor Insulators, Inc. also manufactures distribution non ceramic dead end insulators. These are available in either EPDM or silicone rubber. Victor has the most complete product line of any North American insulator manufacturer. Our wide product line, commitment to customer service and competitive pricing make us the preferred source of insulators.